Development was started by Northwest Polytechnic University in 1965, but was transferred to the Nanjing Aviation Institute. Two prototypes and a static test article were made. The first flight of the Yan'an-2 was on 4 September, 1975; alas, the helicopter never reached mass production. A variant was developed in 1983 in which the main rotor material was changed from metal to composite. 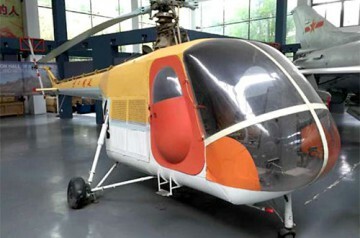 A two-seater light helicopter, the Yan'an-2 fuselage was a semi-monocoque pod-and-boom construction on tricycle landing gear. The aircraft never went into production. Resources related to the Yan-An 2 Y-2B, provided by the Vertical Flight Society. Resources related to the Yan-An 2 Y-2B, provided by public sources across the internet.